I was playing around with IKVM.NET (www.ikvm.net) and I found it very very interesting. IKVM.NET is a Java Virtual Machine implemented on top of .NET; and though this is already kind of weird, the most interesting thing is that inside IKVM, the Java objects of your Java application are first class objects of the CLR. IKVM.NET runs on Microsoft .NET Framework and Mono as well. You can use the ikvm cli command as a java command replacement; that is, you can use ikvm to run Java applications on top of the CLR. You can translate your .class file to a .NET assembly (.exe or .dll) using ikvmc. You can access the Java clases from a .NET application. You can access the .NET classes from your Java code. As you can see, the C# properties are mapped to Java methods with the “get_” and “set_” prefixes. The System.Windows.Forms namespace is mapped to a package called cli.System.Windows.Forms to avoid possible ambiguities with Java packages. To compile this class, a stub (using ikvmstub) must be created to let the Java compiler know about the .NET classes. After that, I had mscorlib.jar; System.Windows.Forms.jar; System.jar and System.Runtime.Remoting.jar created in my current directory. This will create a test/Main.class file able to be run inside the ikvm Java virtual machine. Previous Post C++: Is Java faster than C++? How can I access the user interface (click on buttons, insert strings into thextfields, etc.) 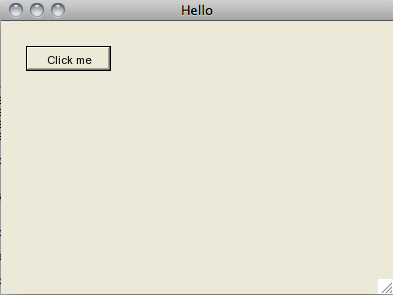 from a third party application (from witch all I see is the user interface) using java. ( I used the same type of information in C# using UIAutomation but now I need for java). It depends on the third party application you want to access. For example, if you have a Win32 application and you want to test it from Java, you should have some wrappers (using JNI) to the Win32 API able to hook to the Windows that are being activated, shown or released. If you have a Java Swing application you could create an application that actually calls the third party application, access to all windows created by your application [through java.awt.Frame.getFrames() or java.awt.Window.getOwnerlessWindows()] and automate the UI testing using the java.awt.Robot. I did not work with java.awt.Robot nor Frame.getFrames neither, but I think you could dig into them and see if they could be helpful for you. Hi Eto! Please I have a question about C#, How implementing contravariance and variance with Generic Colleccion! please some example!